Tapioca is the starch extracted from the cassava root. 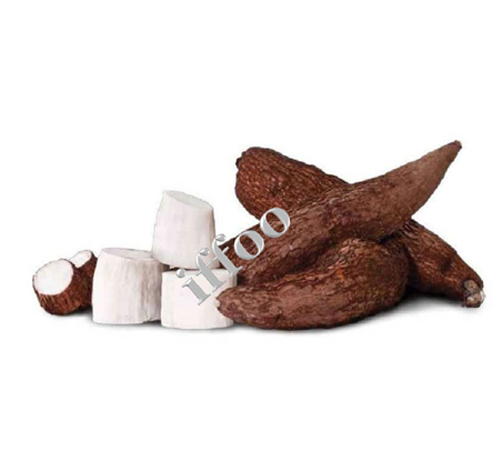 The cassava plant is native to Brazil, where it is known as “mandioca mandioca” and its starch is referred to as “tapioca”. Cultivation of the cassava plant has spread throughout South America and Africa, while culinary use of tapioca has become popular throughout the world. 1/2 cup small pearl tapioca, 3 cups whole milk, 1/4 teaspoon salt, 2 eggs, 1/2 cup of sugar, 1 teaspoon of vanilla extract. Calories 130, Total Fat 3.9 g, Cholesterol 1 mg, Sodium 145 mg, Potassium 92 mg, Total Carbohydrate 22 g, Protein 2 g, Calcium 7%, Magnesium 1%, Vitamin B-12 3%.